The Clown Prince and the Guitar God. Diamond Dave and Edward Van Halen. Formed in southern California in the mid 70s, the band known as Van Halen laid down the blueprint for hard rock and pop metal in the 80s. 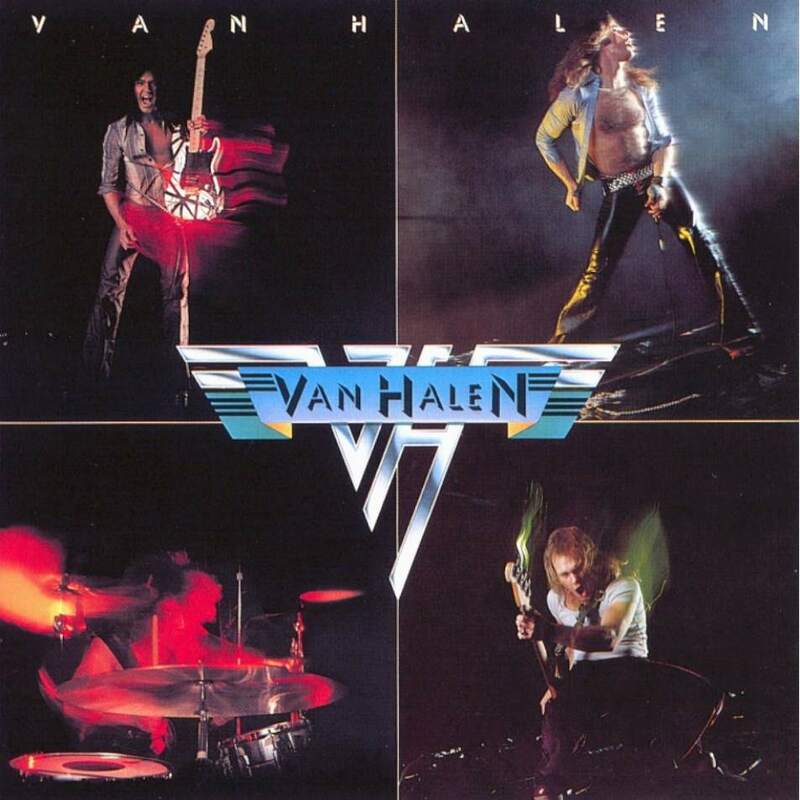 At a time when disco, AOR, and soft rock ruled, VH exploded onto the worldwide stage with a swagger not seen in years and proceeded to rock with a vengeance, making all other bands suddenly sound tired and tame. Lead singer David Lee Roth—an early champion of blow dryers and head-to-toe spandex—was born to entertain. With his sleazy but good-natured, party-hearty persona and “wink and a smile” delivery, Dave was like a cool and crazy uncle, giving you a taste of the fun your parents were always warning you to stay away from. But wait a second. Let the pictures speak a couple thousand words. And then there’s Eddie. Trained as a child on classical piano, but switching to guitar as a teen — stop, stop, stop. Show ’em how it’s done, Eddie. I have no evidence, but I’m pretty sure every music store in North America sold out of electric guitars after kids heard this track on Van Halen’s debut album, thus leading to the Great Guitar Shortage of ’79. (No need for anyone to fact-check — I’m fairly certain about this.) Anyway, “Eruption” is where Eddie’s legend begins. Unfortunately, these two headstrong talents had differing opinions on life, music, and the pursuit of awesomeness. To everyone’s shock, in 1985, Dave was out, and Sammy Hagar was in. This incarnation of the band—sometimes referred to as Van Hagar—then reeled off four straight #1 albums before dissolving in acrimony again. Women And Children First (1980) The boys get a little more serious. The songs get a little darker around the edges. The sonic palette expands with different textures, and the band ramp up the action with a few of their heaviest riffs to date. Taut, muscular, and firing on all cylinders. Check: Everybody Wants Some!! & Could This Be Magic? 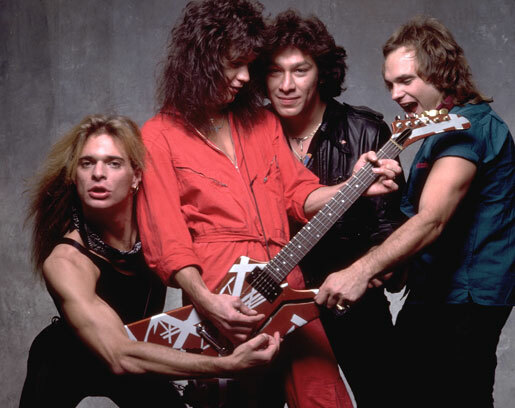 Van Halen’s video for “Jump” perfectly encapsulates the spirit of the band. It’s a classic example of the “stage performance with no audience” genre. Jump, or as my youngest daughter calls it, Mario Kart music. The similarities are there… Aww, might as well jump. 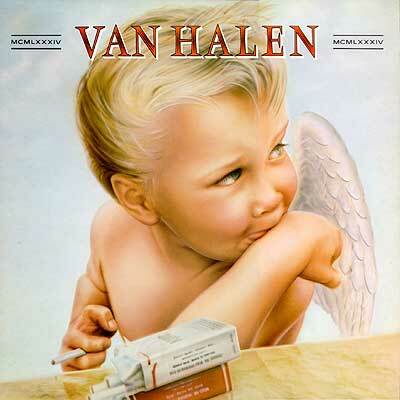 I think it’s hilarious that Van Halen was metal in 1984 and today they’re video game music.